I wasn’t originally going to include my Prosciutto-Wrapped Mini Frittata Muffins in this year’s Whole30 roundup. This recipe, after all, is one of my classics, and has been on my site for over 3 years. That’s practically forever in blog-years. But then came word that Jesse Tyler Ferguson (MITCHELL PRITCHETT from MODERN FAMILY!) made some this past weekend, and posted about ’em on Instagram. 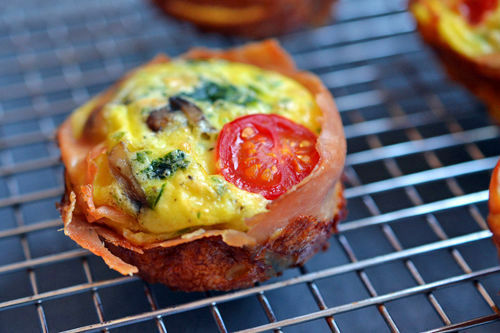 Hey—if LILY’S DAD thinks that muffin-size frittatas wrapped in crispy prosciutto cups are awesome, who am I to argue? Besides, this is comfort food at its simplest—and quickest. With farm fresh eggs and a handful of leftovers, you won’t even need a trip to the market to whip up this wonderfully complete and satisfying meal. 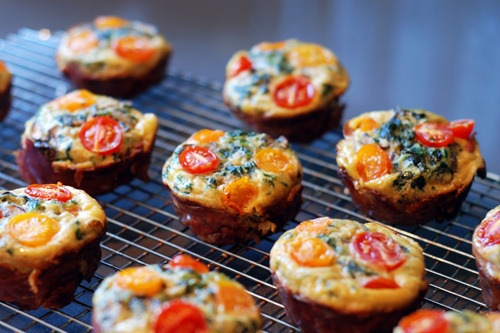 Best of all, frittata muffins are perfectly portable, so make some, grab some, and go! *Assuming you are also adorable and have immense talent and work really hard at your craft and catch a break and become a standout comedic actor on a critically acclaimed television series. Looking for more recipe ideas? 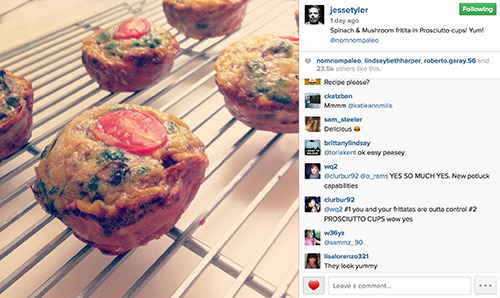 Head on over to my Recipe Index. You’ll also find exclusive recipes on my Webby Award-winning iPad® app, and in my New York Times bestselling cookbook, Nom Nom Paleo: Food for Humans!